Happy Canada Day to all my thousands (ok dozens…maybe?) of Canuk followers! So I did my first official credit card (cc) churn recently. I should note that the churn is not complete because I haven’t canceled the card yet, but I intend to do so in the upcoming months. Not sure what churning is? Google it out. In brief churning (does everyone else picture a pilgrim in the late 1800’s leaning over a barrel with the big stirring stick when they hear this phrase? Good.) is signing up for credit cards, just to get the sign up bonus, often points rewards, then cancelling the card after the bonus is awarded. Some people have multiple cards on the go at once, this is for professionals only, so stay away! While is isn’t really the first time I’ve signed up for a card for a bonus, I am planning on signing up for another shortly, so I guess I’m still not a true churner. Why go through all this bother you ask? Well that depends on your definition of bother I guess. For me, in this instance, it took a 15 minute process to sign up on line for the credit card, and then maybe 3 minutes calling to activate the card, which includes declining the INSANE insurance the rep is forced to peddle (post to come). And then use the card to hit the spending requirement for the bonus, in this case it was $1,000 in 3 months. Really? Is that all? As much as I like to NOT spend money, this was a joke, $1,000 in 3 months is covered by our groceries only. …..and that was it. Aside from calling to cancel the card, maybe another 5 minute call. So what we got? about 15 mins of time for the application, a few phone calls, and then just using the card when I get my groceries? FOR A FREE FLIGHT ANYWHERE IN CONTINENTAL US AND CANADA? F**K YES PLEASE! Of course I’m aware that I need to pay the dreaded taxes and fees, which I’m sure will still be a few hundred bucks. But so far, that is a pretty good return for way less than an hour of work. I should also note, this is especially a good deal for anyone like me who isn’t really near a large air hub, so airline tickets are usually extra pricey. At any given time, there usually offers to be had for signing up for a new cc. You will sadly note that the offers in Canada are no where near as good as in The States, there is seems cc companies are throwing thousands of dollars for new customers . Still worth your time though here in Canada, right now with a quick scan I see American Express offering 25K Aeroplan points for a new sign up, with a measly $500 spend in 3 months. By the way, 25K Aeroplan miles are enough to fly anywhere continental US or Canada, same offer I got from TD. This free flight offer is definitely on my radar (flight..radar….get it? Work with me people!). I should mention, in order to qualify for all these fancy new cards, you need good credit. How do you get good credit? By following my blog! Haha I kid I kid. Pay your bills on time, don’t rack up debt, and you WILL qualify for most of these offers. Credit isn’t something I’ve spoken much about, but I assure you, there are many other great PF blogs around, maybe check out my blog roll up there on the right, that do discuss credit, and I’ll likely touch on it more in the future. Enjoy the summer and the churn! Is $120,000 a midlle class family income? I’m back trying to rescue my blog from falling off the face of the earth, in terms of new posts anyway. I’m still busy plugging away at my never ending home renos, so again please excuse the lack of posts lately. I hope to be back to a more frequent posting schedule in mid June. This is an article I drafted up about 4 months ago, and by the time I was done with it I wasn’t that excited about it. But since it was 99% done here you go, please let me know your thoughts. There was much fuss about this in the comment section, almost always my favorite part of online articles. Most of the comments I saw seem to think this was a low figure, meaning middle class would seem to be more in the 130-150K range. There were also comments about factors such as if you live in an expensive city, or if you have kids or not. So lets figure this out. Generally, very generally there is an upper class, middle class, and lower class all decided by an income range. The article states middle class families have incomes up to 120K. Lets save the middle class doesn’t exist debate for another day while we resolve this first. A couple of things to point out, this is a federal statement, so it involves the whole county. Don’t get me wrong, I couldn’t agree more that there is a big difference between a family making 120K living in T-dot, and one living in Summerside PEI. But where you live doesn’t come into play here. Also family size does not come into play either, that is, there is no middle class with 3 kids or lower class with 2 kids. We are just broadly talking about the 3 classes. I’ll attack this by going to opposite route. What would be the definition of lower class? Around these parts, a full time min wage job would yield an income of about $23,000/year, if each spouse worked that we would a total income of 46K per year. This is obviously a lower class income. And really, you’re barely trying if you are still at min wage by the time you get to your late 20s. Where would the lower class end? This is the hard part, it starts at zero income and goes too…?. I’m thinking 70K, maybe 80K? It seems to me that a couple each earning 40k would certainly at least be on the threshold of breaking into the middle class. Lets go with 80K. Now the upper class. Obviously there is no upper limit for this. So where would the upper class start? Two couples making 100K each is obviously upper class to me, 90K each, still upper class, 80K each, still upper class, 70K each…this seems about right to me, so 140K. These very unscientific results seem to say the middle class would be a family income range of 80K to 140K, a $60,000 range. Seems about right, so I don’t see what all the hubbub is about if the upper end of the middle class is said to be 120K. I feel it is definitely in the ball park. Growing up I feel I was in a middle class family, and I estimate my family’s income at about 50-60K back in the 1980s/90s, this would seem to work out, if inflation was 2% per year for 30 years from 1985 to 2015, this would be about 121K-145K in todays dollars…very much in line with the 120K middle class statement. What class do you consider your family to be in? Do you think your class would be different if you live in a different part of the county, but with the same income? A Net Woth Update and non-goals for 2015 year end. Welcome back everyone, and perhaps I will welcome myself back too after my lack of posts in the last month or so. It is a busy time of year for The Fake Cheap. I’m putting in overtime at work, playing a flurry of games as my basketball season comes to an end, trying to watch the craziness that is March Madness and squeezing in family time doesn’t leave much time for blogging. Lets get on to the good stuff. I know, or seriously doubt anyway, that you folks get as excited as I do for my net worth updates, so I think I’ll provide 2 a year, maybe a January and July timeline. So here are my results for Jan 2015. You can see the Oct 2014 net worth statement here. I’ve also included my net worth FAQ again below. I really don’t create financial goals for myself. I guess rarely might be a more accurate description. I just keep on with the theme of saving money and keeping expenses to a minimum. Maybe it’s a good thing, maybe it’s a bad thing, either way it seems to be working ok for me so that is what I’m going to stick with. I find that is key to your financial success. Find something that works for you, and then stick with it. Maybe that is writing down every cent you spend every day, if that works, great, keep doing it. If something is not working for you, then go ahead an stop whatever that maybe, move on to something else, find something that works for you, keep trying different things until you find it. Doesn’t your NW take you like an hour to calculate? No, it takes about 25 minutes. I keep it simple. My online banking makes things pretty easy, log on add some numbers, that is about 75% of the work, then I hit a couple of my preferred credit card sites, get the balances, do some more math, that is it. I don’t count cents and round down to the nearest multiple of $10. For most people it will not matter if your worth is $25,432 or $25,340. Why don’t you include other stuff like your TV and furniture? These things aren’t really relevant to my financial position, and frankly aren’t worth a whole lot anyway. If you happen to have thousands of dollars in electronics, I suggest reevaluating your priorities. How Often to do calculate this? I’m on a bi monthly schedule. I know some who do this on a yearly basis and others do this on a monthly, weekly or even daily basis. If you are just starting out and getting your finances in order, I would say every 2 or 3 months would be ideal to help you see the progress you are (or are not) making. Why should I calculate this? If you haven’t even done this before, do it right now. Seriously. You need this figure to see the big picture, to make sure things are moving in the right direction, at the pace they need to move at. I want to do this. How exactly do I calculate my net worth? Add all your assets, bank accounts, RRSPs, TFSA, other investments such as stocks, and subtract your liabilities (debts) like your mortgage, student loans, car loans, lines of credit, credit cards. The difference in this is your net worth! It is that easy. What about bills such as my power bill or other monthly bills? How do I account for that? This statement is just a snapshot of your financial picture, today. Your power bill due in 2 weeks shouldn’t have an impact on your net worth (I hope!). It is true you could do this on the day you get paid to inflate your net worth for today, but you would just be lying to yourself. I generally calculate mine on just after major bills have come out and I don’t have large amounts of my pay sitting in my bank account (which doesn’t happen anyway). Thanks for reading, and as always fire away with any questions you may have or shoot me a topic you would like me to discuss. *A very large portion of my credit card debt is my car loan. My car loan was moved to a credit card because the interest rate is currently sitting at 1.9% for the next few months. The remainder of the balance on my credit cards will be paid off as of the due date to avoid interest charges. The subject of my topic may shock you. Surprised? Confused? That is no problem, I shall explain. You see my power company is kind enough to offer something called equalized billing. The reason this is offered is to help you out during those high cost winter months (my bill goes from about $90 in the summertime to about $350 in Jan/Feb, just to give you an idea) by spreading the total cost of your power bill over the year into nice and tidy equal monthly payments. I guess people have trouble budgeting (SHOCKING!) for this “unforeseen” event of a high winter power bill. Well guess what people…IF YOU CANT AFFORD $400/MTH FOR POWER…YOU STILL CANT AFFORD IT BY SPREADING IT OUT OVER THE YEAR! I truly think this “equalized billing” should be renamed “evilized billing” because it is quite full of trickery. Sure, now that you’ve spread out your payments, it’s ok to crank up the heat…you can “afford it now”. What if the grocery store did this same thing? You go pick up whatever you want and pay $100 each time, then after a year they let you know how much MORE money you owe them. Of course it will be more money, who would try to save money if this were the format at the checkout? Unfortunate, but that is the way (most) people think and operate….but not you right? (In the voice of Borat) High Five! This topic got me fired up today since some coworkers and I were discussing the frigid winter we are having and the effect on our power bills. “Boy, I’m glad I’m on equalized!” said one. “Me too!” echoed another. Of course when I told them I was not , they looked at me like I was the crazy one. I didn’t get into much more of a debate about it unfortunately. The lower the stars, the cheaper I was/am. The higher the stars the more “fake” cheap I am/was. Kind of hard to rate this one. 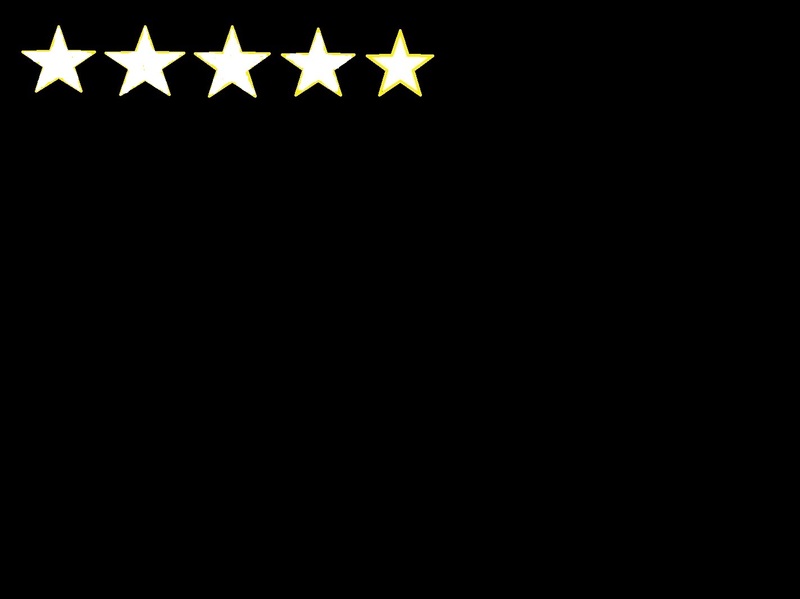 So I went with 2 stars, as this lets me easily keep track of my true cost of power. I made the leap this year to using a free income tax filer. Previous years I had been using one of the online programs that would run me about $30 and change to file the returns for the wife and I. Well no loner, I’ll keep that $30 some dollars in my bank account that you very much. It wasn’t half the nightmare I thought it would be to use either. Seemed to be almost as fast as the program that costs me money, however not as pretty, but this ain’t no Ms Universe competition, so pretty doesn’t count for much. Actually I think I liked it better than the one I was using, some parts especially about claiming child tax credits and other child related expenses seem to be much more straightforward. If you feel like making the jump to free this year, I say go for it. Just do an online search for reviews for the program you will be using, if mostly positive comments, then fire that bad boy up and grab a beer and hunker down for the next hour or so and pray for that big refund at the end. Maybe you have been taking your taxes to someone to have them done. I have news for you, most people don’t need that. Are you self employed? Have complex business expenses to claim? Have dividends/capital gains/interest that is taxable? Own foreign property or have foreign income? No, then NEWSFLASH, you can do your own taxes. Really super easy, you just input numbers from boxes on your T4 into the corresponding fields on the software you will be using. Don’t really know what those numbers mean? Doesn’t really matter. Still not sure about this? Ask a friend or relative to help you out. At this point you might be thinking, speaking of taxes, why haven’t I covered the whole RRSP/TFSA debate yet? I do plan do, but not in time for this year, there are a lot of other good blogs that cover this topic, Google is your friend. The chance to save 100% doesn’t come along everyday, so make it count. You can’t get any more cheep than free! ZERO STARS!!! $10,000 or your smart phone, you choose. .4. No contract -monthly payment of $42 and $800 for the phone!!!!! ……words cannot express my thoughts right now….you read that correctly $800 for a phone….wow..
You may have noticed I didn’t mention what kind of phone these people have, that is because I don’t care. Whatever phone they have is costing an insane amount of money, making the phone irrelevant. Same goes for the plan, how much data, etc…don’t care…..it’s too much money. Too much money for something you don’t need! Of course I have a cell as well, here is what I pay per month : $15. I see you are shocked, it is pretty low. My breakdown: I went with a no contact provider, and I chose Petro Canada Mobile. Yes, as in the same company as the gas station, and yes I am one of only 5 customers in all of Canada (just kidding, but I have yet to meet another). When I was looking for a cell, I knew right off I didn’t want to be in a contact, and I knew I wanted to pay as little as possible per month for a basic plan. There weren’t many options out there. So I bought the phone outright, a Nokia C3, which has the very best of 2006 technology, and have a cheap plan. $25 for 120 days, which gives me 25 cents per minute, outgoing texts are 10 cents each, long distance calls are 50 cents a minute, no data, but does include all the fancy bells and whistles like voice mail and caller ID. Lets break this down to $9 a month so we can compare apples to apples. I dump a few extra dollars in once in a while to cover the texts, which I average about 15-20 a month. Call it $2 a month for texts. Add in what I paid for the phone $108 taxes in. I plan to have the phone for 3 years, (oh the humanity!) so add in $3 ($108/36=3) a month (that worked out nice!). I also paid $15 for a phone cover/protector and the memory card was also about $15, lets call those two combined $1 a month. This gives me an amazing low cost of $15 per month over 3 years, cost of phone, plan and accessories included. I think I’ve covered everything. And of course I can walk away anytime I want, the price I’m (not) paying for freedom. You’ll notice I did not include other costs such as phone covers, screen protectors, other accessories or the dreaded app costs for my coworkers. I’m trying to cut these people some slack. I can’t make them look totally insane, right? These costs are already harsh enough, aren’t they? No? Maybe this next tidbit will change your mind. Here is the final bit of information I would like to provide. What if these monthly fees and lump sums paid above were instead invested, what would that look like? They would look a lot like this, assuming a mere 5% tax free return after 10 years and to be fair my 10 year cost is calculated as well. The person who had plan 1 could instead have over $8,700 after 10 years! The person who had plan 3 could instead also have in the neighbourhood of 10K at $9,338. The person who had plan 4 could instead have $8,336 in their pocket. Also think about this, this is just the phone of ONE spouse, many of these people’s wives/husbands/partners also have a similar plan, so they pay this much TWICE each month that is a terribly shocking amount of money my friends. Oh almost forgot my plan after 10 years: $2,107. A lot of dough but just on the good side of reasonable. I hope you enjoyed the read, and make a wise choice when it comes to choosing a phone. 2 Fake Cheap stars for this one. I’m pretty cheap here, but I still believe I could knock my cell tech a step lower. Doctor and Dentist seek financial advice, halarity ensues. 3 The dentist was getting financial advise from her patients while they were under sedation. 2 The doctor was getting financial advise from his patients while they were under sedation. 1.Too many yahoo finance articles. A fake @ericandilsa account was even started on twitter. If I only had that kind of time. I hope you enjoyed their story and related articles half as much as I did.